With medals currently the measure of sporting achievement, the promoters of the Moor 2 Sea sportive continue to keep the design of the new event’s ‘gong’ very much under wraps. “At this special time in the nation’s sporting history, we felt we had to come up with something extra special to mark success in this significant cycling challenge.” said chief organiser Stewart Bergman. “All I will say is that these high quality, custom made awards, unique to the event, will not be left languishing in the back of a draw somewhere, they will be much cherished and displayed with immense personal pride.” he added. 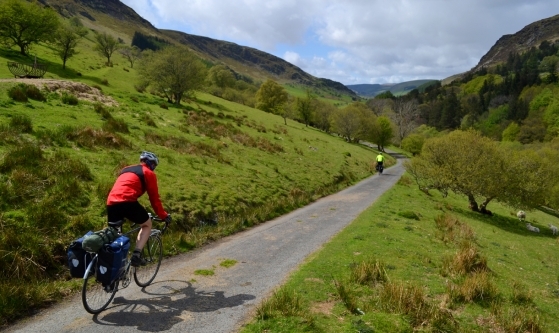 At 112 miles, the ‘Extreme Route’ ride is set to be one of the U.K’s. toughest. Featuring over 12,000 ft. of climbing, it is tougher than any single stage of the Tour of Britain, which passes through the same area the following weekend. The final ascent of the day, Mamhead, will carry its own unique King of the Mountains medal pin for those who complete the section inside the, as yet undisclosed, designated time. 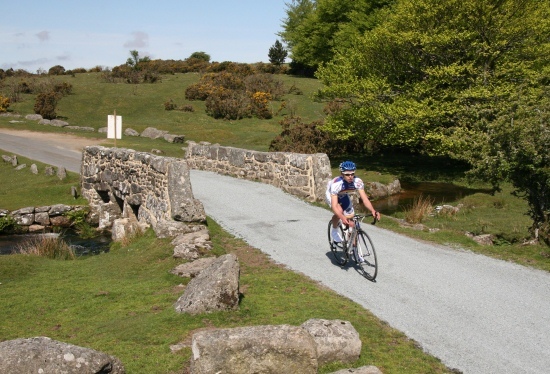 For those seeking a shorter but, proportionally, non the less demanding ride, there is the ‘Challenge Route’ which, at 67 miles, also links Dartmoor’s rugged moorland with the picturesque South Devon coast. 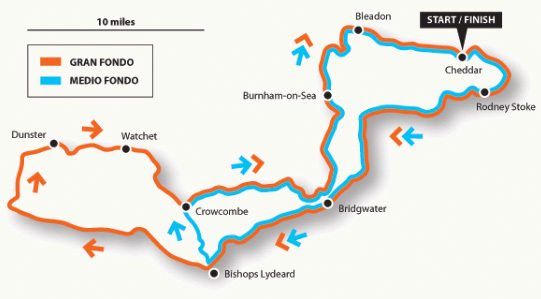 However, for those unable to complete their chosen route, Devon by Bike will be in support, providing a recovery service from the designated feed zone. Energy products supplier High5 are the most recent partner to join forces with the event, while Olympic Games and Tour de France photographers SportivePhoto will be on hand to capture images of the riders in action. Headquarters for this exciting addition to the calendar will be Exeter Race Course, where services include hard standing for all vehicles, pre start breakfasts, post event catering and massages to sooth away those aches and pains before the journey home. The event concludes with a 2 mile closed road circuit and all finisher will be rewarded with a goody-bag, the contents of which will be worth around £20. With places at the event limited to 500 riders, and 80% already filled, it looks like it is rapidly heading for a complete sell out.